You may choose to stay at any of these five types of accommodations: the Hillside Room, Garden View Cottage, Garden Suite, the Sea View Cottage or the Beachfront Cottage – all of which are scenic hideaways of utmost privacy and tranquility. The package rates start at Php23,000++ (lean season), Php26,000++ (peak season), and Php34,000++ (super peak season) in a Hillside Room inclusive of delightful daily buffet breakfast at the Ocean Restaurant, a Php3,000 food and beverage credit at all dining outlets, your choice of island adventure (either bottom fishing or an island tour), and round trip boat and land transfers from and to the Francisco B. Reyes Airport in Busuanga. Undisputedly a piece of paradise, Club Paradise Palawan is hailed as one of the country’s most popular diving and tourist spots, and is listed in Forbes Traveler Magazine’s top 10 best Scuba diving sites in the world. The perfect getaway for adventure-seekers, the island resort is blessed with a 700-meter stretch of sun kissed talcum soft white beach, and its turquoise waters serve as a sanctuary to a wide array of unique flora and fauna. There’s nothing more exhilarating than the natural high of finding yourself amidst the awesome wonders of nature! So if you are looking for the perfect destination that offers the thrill of a lifetime and that takes your breath away with its captivating beauty and splendor, then Club Paradise Palawan will sweep you off your feet! You will definitely be stoked in paradise! For inquiries and reservations, contact Club Paradise Palawan at (+63 2) 719.6971 to 74, email at cp.reservations@discovery.com.ph or visit www.clubparadisepalawan.com. Discovery Suites, Discovery Country Suites Tagaytay, Discovery Shores Boracay, Club Paradise Palawan, and Discovery Primea are managed by The Discovery Leisure Company Inc (TDLCI). Club Paradise Palawan is a 19-hectare island resort in Dimakya Island, Coron, dotted along a UNESCO marine sanctuary. The exclusive property features 55 rooms and cottages with scenic viewsof nature, as well as a spa, restaurant, and two bars. Coron is a haven for the gentle dugong, colorful flora and fauna, and world-class reef and wreck dive sites. 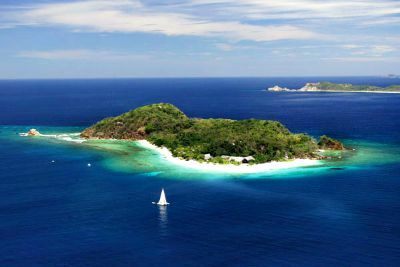 Exciting day trip options include Coron Island Tour, Calauit Safari, Bottom Fishing and Island Hopping. Club Paradise Palawan is one of five properties of The Discovery Leisure Company’s portfolio of distinctive hotels and resorts. Get updates through Club Paradise’s Facebook on http://facebook.com/club.paradise.palawan, Instagram @ClubParadisePalawan and Twitter @_ClubParadise.